Augsburg vs Hannover 96 predictions for this weekend’s German Bundesliga. Can Hannover bring Augsburg back into the relegation fight with a win at the WWK Arena on Saturday? Read on for our free betting tips and match preview. Augsburg had won just one of their last fourteen Bundesliga outings before their game of the season last time out at the WWK Arena, where they beat Borussia Dortmund 2-1 via two goals from Ji Dong-Won. Manuel Baum’s men followed that up with a valiant 0-0 draw away to RB Leipzig last weekend, but whether, like after their triumph over Mainz back in February, this will prove nothing but a brief moment of respite is yet to be seen. One thing that is for sure is that a win here against relegation fighters Hannover would do wonders for their own chances of survival this season. Hannover’s luck this season was summed up beautifully in their 3-2 defeat at home to Bayer Leverkusen last weekend. Finding themselves 2-0 down in winter conditions, Hannover’s Genki Haraguchi was denied a goal as the heavy snow slowed the ball down to a near halt just before crossing the goal-line. Had that gone in, Thomas Doll’s side would have saved a point (or possibly gone on to win the game if you consider momentum a thing) and moved closer to the relegation play-off spot – what looks like their last opportunity for survival now. Augsburg are favourites here despite being one of just five sides to have won two games or fewer so far in the new year, so for us it’s much better to be looking at goals for this game. Only three sides in the German top flight have seen more goals than Hannover in their league matches so far in 2019 (29 – an average of over 3.6 per game). Augsburg aren’t too far behind either, with their matches seeing a total of 26 goals, an average of 3.25 per game. And with both teams scoring in 83% of Augsburg’s home and Hannover’s away matches this season, that looks the bet to go for here. One might think that another away trip is not looking good for Hannover, but they do have a good track record against Augsburg, losing just one of their seven at the WWK Arena (W3 D3 L1). The North Germans haven’t kept a clean sheet in 28 consecutive Bundesliga away matches and, interestingly, haven’t won an away game since their trip to Augsburg last season (D8 L20), however, there does look to be some value in seeing them get a result here after a promising second-half display against Leverkusen last weekend. Our prediction: 2-1 Hannover. Hannover 96’s win percentage against Augsburg (46%) is higher than against any other current Bundesliga side (6 of 13 meetings won). 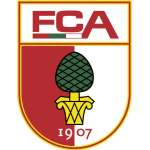 FC Augsburg have won just one of their six Bundesliga home meetings with Hannover (D2, L3) – a 2-0 victory in September 2015. Augsburg have won four of their last five top-flight meetings with Hannover. The exception was a 2-1 loss in their home clash last season. FC Augsburg’s 0-0 draw in Leipzig saw them claim their second clean sheet of 2019 (also in their 3-0 win over Mainz on MD20). They’ve already secured more clean sheets since the winter break than in the entire first half of the season (0-0 vs. Leipzig). Augsburg have collected just four points from their three league meetings with relegation rivals Nürnberg, Hannover and Stuttgart so far this season. By comparison, they have also claimed four points from their last two matches against top-four sides Dortmund and Leipzig. Augsburg goalkeeper Gregor Kobel has already saved four big chances in 2019. His fellow FCA keepers Andreas Luthe (5) and Fabian Giefer (1) have only saved six big chances between them in the entire first half of the season. Hannover’s tally of 14 points after 25 games is their worst ever record in the Bundesliga (previously 16 points in 1988/89 – converted to 3 points per win). No side with fewer than 19 points after 25 Bundesliga games has ever managed to stay up – Hannover have just 14. Hoffenheim (in 2012/13) and Homburg (in 1986/87) both managed to avoid relegation via the play-off after collecting 19 points from 25 games (converted to 3 points per win for Homburg). 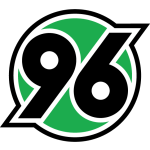 Hannover 96 are without a win in 24 Bundesliga away games (D8, L16). Their last victory on the road came against none other than Augsburg in October 2017 (2-1). Hannover have the league’s worst defence, having conceded 58 goals. The only time they have let in more goals after 25 games was in their 1985/86 relegation campaign (76 at this stage).